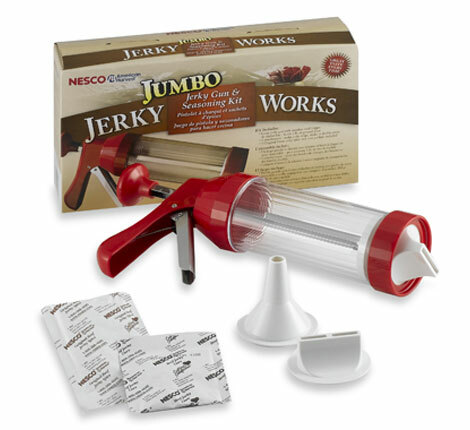 We’re hard pressed to think of a more macho kitchen gadget than a gun that shoots beef jerky. Maybe one that makes beer at the same time. But then it would be multipurpose, and out of the scope of this article. The barrel of the Jerky Works Gun holds a whopping pound of meat, which means less refilling (reloading?) for you. It comes with five spice packets and three different nozzles, each of which “shoots” a different style: strips, double strips, or sticks. Once you’ve discharged all your beef, simply dry your jerky in the oven at a low temperature, or in a dehydrator. Say “Brütül” three times fast: Brütül, Brütül, Brütülbrew tool. Get it? This “snappy” silver contraption bills itself as the world’s most “versatile” beer-layering device. Perfect for those times when you just can’t choose between a rich, creamy stout and a crisp, clean ale, the Brütül lets you enjoy both at once. 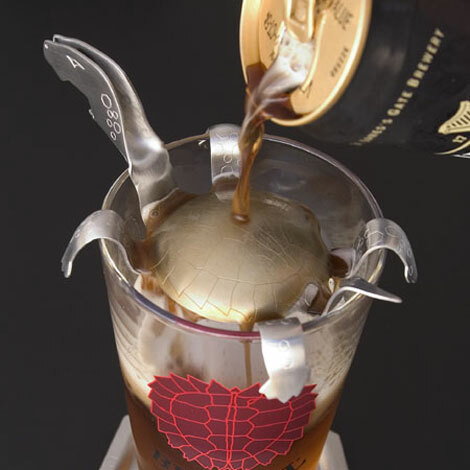 Simply pour half a glass of the lighter beer, balance the Lagerhead Turtle on the rim, and top off your pint with the darker brew. Now you can enjoy blended beer beverages like the Black Velvet (Guinness and Champagne), the Snakebite (Guinness and hard cider), and the Bumble Bee (Murphy’s and Dundee Honey Lager) without having to go to a fancy bar. Guaranteed to come in handy at least once every few decades. Whoppers are so over. The biggest trend in hamburgers these days is little. Sliders are popping up at many of the nation’s choicest restaurants—made with grass-fed beef and topped with artisanal cheese, of course. The Big City Slider Station is kind of like a stove-top muffin pan, but for meat. Made from aluminum with a double-sided nonstick surface, it allows you to cook five perfectly proportioned mini burgers without the “hassles” of pressing or flipping them in a plain old skillet with a boring old spatula (yawn). You see, the Slider Station cooks the burgers on both sides at once: simply scoop your meat of choice into the divots; press on the handy, grill-marked lid; and sear on the stovetop. In just two minutes you’ll be digging in to beefy, bite-size bliss. Making hamburgers has never been easier, not that it was ever that hard. pshaw. every single one of these items can be converted into a tool for baking cookies. 1. cookie press. 2. cookie cutter 3. more different cookie cutter. This entire post is now moot.